As Paracelsus, a 13th century innovative medical thinker said, “the source of health is inner harmony”. 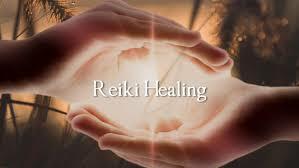 REIKI, translated from Japanese to mean Universal Life Energy, is a modality that uses this universal life energy to re-establish inner harmony. We are all born with “ki” also known as “chi” in Chinese, or “prana” in Hindi, or “light” in Christianity. Ki gets replenished on its own, however in times when we are not able to restore it due to prolonged experiences we are undergoing in life, we may experience the emotional and physical effects of imbalance and depletion. As a natural and simple stress reduction method, Reiki allows for the recipient to have their physical and emotional states balanced and revitalized as well as strengthening and harmonizing the immune system. It has also been known to even deal with reducing acute symptoms generated from pain. Reiki was discovered in the 19th century by a Japanese monk named Dr. Mikao Usuai. He brought healing to others for many years, yet it was after a serious earthquake in 1922 that he decided to heal as well as begin teaching Reiki to others so that more people could experience healing and balance. However, Reiki is referred to in 2500-year-old writings in Sanskrit, the ancient Indian language. As time went on, Dr. Usuai shared his knowledge and trained Dr. Hayaski who began operating a clinic in Tokyo. At this time, Reiki procedures became more formalized. Mrs. Hawayo Takata, born in Hawaii was the first woman to be trained in Reiki in 1938.
enhancement of an overall sense of vitality yet calm throughout the body. All Reiki practitioners experience three levels of training with hands on practice comprising the most important part of developing and deepening our skillfulness. Working with Master Level teachers, energetic connections personally deepen so we become stronger energy conduits to assist with healing. For my final training of Master Level, I feel very fortunate to have studied with Roland Comtois, a nationally acclaimed Reiki Master, who enhanced our skills from Levels 1 and 2 while cultivating a connected and very deep accessibility to our personal healing energy abilities. I first became aware of Reiki in 2002, when my mother experienced it in her rehab for knee replacement pain. It was wonderful to see her relax amidst pain. That was the beginning of my belief in and passion for Reiki which has continue to blossom from my personal experience as well as the results of the clients I have had the privilege of assisting to create a deeper sense of well-being. When you meet with me, please feel comfortable asking questions and engaging in a dialogue sharing any concerns that have been arising in your body or other aspects of your life. I may ask a few clarifying questions with the intention of being able to guide my treatment for and with you. Comfort, Warmth, and Communication are essential for our work together so please share whatever arises! No particular attire besides loose fitting clothing is needed as the treatment will be performed in whatever you are wearing. Both lying down and seated are options for you. During our time together, my hands will be held 3-6 inches above you most often. I hold their placement anywhere from 3-5 minutes with some occasional variations. I will be very quiet, however at times, I may offer some suggestions for simple breathing techniques. If you find certain emotions arising that you would like to communicate to me, please don’t hesitate. However, there is nothing you need to do besides be as present as you can with your body. If you fall asleep, that is okay! I may gently encourage you with my voice to come back to a relaxed awareness. My hands will begin in the head region and work down the front of the body, spending time at energy centers as well as other locations such as organs. In the image below, you can see the majority of the hand positions are located. I will be also over the legs, feet, and hands. In a typical Reiki session, you will first be lying with the back of your body on the massage table and then with your front side resting on the table. Please view this time as a nourishing time, where you can set aside any particular concerns to the best of your ability. I will not be diagnosing any conditions. By relaxing into our time together and trusting the body’s natural ability to heal, my opportunity to assist your body with the rebalancing of its ki will be maximized. At the end of the session, I may offer some hand positions that you can practice on yourself. It is my privilege to assist you on this journey of inner ease of well-being.